Zanzibar is not only an exceptionally beautiful island, with tropical forests, mangroves and beaches, but is also an important site for international trade and cultural exchange (Boswell, 2008). The Zanzibarian Stone Town is a well-preserved example for an East African coastal trading town. The city’s winding little streets contain intact buildings that reflect Swahili architecture, beyond that, incorporating elements of Arab, Persian, Indian, European and African styles. For over than a millennium, this trading center brought together and homogenized these different cultures and captured them in its walls (WHC, 2014a). 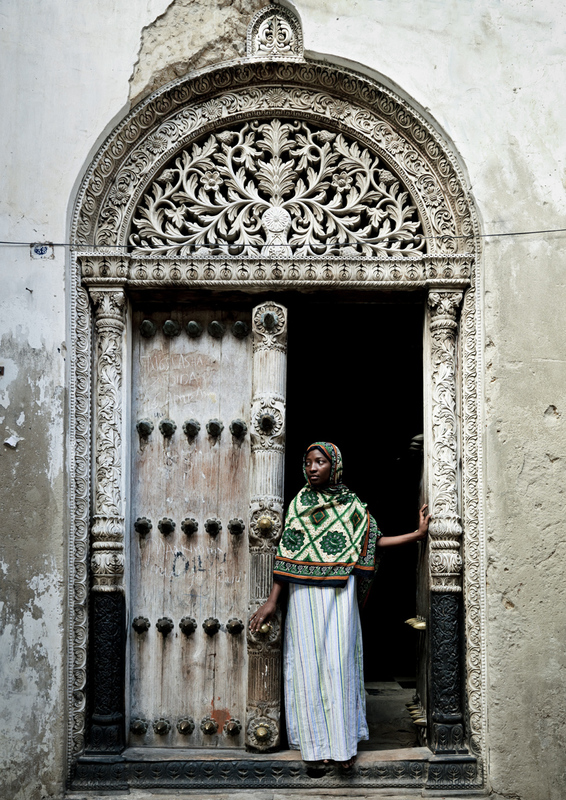 Nowadays the Arab houses are particularly noticeable, as they usually have large and ornately carved wooden doors that became a symbol for Zanzibarian style handicraft (WHS, 2014a). Stone Town is the old part of Zanzibar City, situated on the islands west coast. Zanzibar is composed of the Zanzibar Archipelago in the Indian Ocean, approximately 25-50 kilometers off the Tanzanian mainland. The island is the semi-autonomous part of Tanzania in East Africa (AWHS, 2014). In 2000 its cultural capital Stown Town was declared a UNESCO World Heritage Site. The three main reasons for this shall be demonstrated in the following. Firstly, UNESCO declared Stone Town to be an outstanding material manifestation of cultural fusion and harmonization. Secondly, its function as major seaborne trading hotspot between Asia and Africa has significant value, as it is illustrated and captured by the architecture and urban structure in an exceptional way, which is still visible today (WHS, 2014a). Finally, Zanzibar was stated to have a major symbolic importance in the suppression of slavery. It used to be one of the central slave-trading ports in East Africa, led by the Portuguese with its peak in the 18th century. At the same time it was a place from which opponents like David Livingstone fought for their campaign and therefore captures great symbolic importance (WHC, 2014a). The Zanzibar Stone Town Heritage Society stresses that with an average of at least 95% of 90 000 tourists passing Stone Town every year during their visit to Zanzibar, there is a high pressure of development activities in Stone Town (ZSTHS, 2014). Beside the visitor and development pressures, the World Heritage Committee has also analyzed a lack of legal framework and a lack of resources (WHC, 2014b). The Zanzibarian State Party acknowledges these lacks as a result of conflicts within the management structure. The adopted Management Plan has only partially be implemented and is not being used to effectlively guide decision-making and development control (WHC, 2014b). As a result of the increasing tourist pressure and the growing demand, investors request to build hotels or rebuild old properties in the center of Stone Town. These hotels however, need to follow certain guidelines and restrictions in order to suit the requirements set up by the UNESCO. A recent example of managerial failure is a new hotel and internal alterations at the Mambo Msiige building that is two stories higher than agreed on and that encroaches onto the public beach without permission. The World Heritage Committee believes that this will have significant adverse impact on the urban form and silhouette of the property and a substantial adverse impact on its Outstanding Universial Value. The Committee now stresses for new assessments, report and managerial changes (WHC, 2014b). Some responsible people in a poor country like Tanzania might cherish economic development more than heritage conservation. Nevertheless, if wanting to keep a label like “UNESCO World Heritage Site” sacrifices have to be made, following the agreement arranged with the UNESCO. However, not only the Zanzibarian State Party should work on managerial improvement, cooperative planning and implementation, but also UNESCO has to do its share at understanding specific difficulties of a unique country and its differences in culture and governance. These managerial difficulties could be overcome by working together more closely and involving more stakeholders with their differing views, in order to establish a common set of goals that in the end, hopefully most are willing to follow. African World Heritage Sites (2014) Stone Town of Zanzibar – Tanzania. [Online] Available from: http://www.africanworldheritagesites...-zanzibar.html [Accessed 14/11/14]. AIS (2014) Zanzibar. [Online] Available from: http://africaninsightsafaris.com/wp-...stone-town.jpg [Accessed 16/11/14]. Boswell, R. & Ebrary, I. (2008) Challenges to identifying and managing intangible cultural heritage in Mauritius, Zanzibar, and Seychelles. Council for the Development of Social Science Research in Africa, Dakar, Senegal. World Heritage Convention (2014a) Stone Town of Zanzibar. [Online] Available from: http://whc.unesco.org/en/list/173 [Accessed 15/11/14]. World Heritage Convention (2014b) Stone Town of Zanzibar. [Online] Available from: http://whc.unesco.org/en/decisions/6041 [Accessed 16/11/14]. Worldheritagesite (2014) Stone Town of Zanzibar. 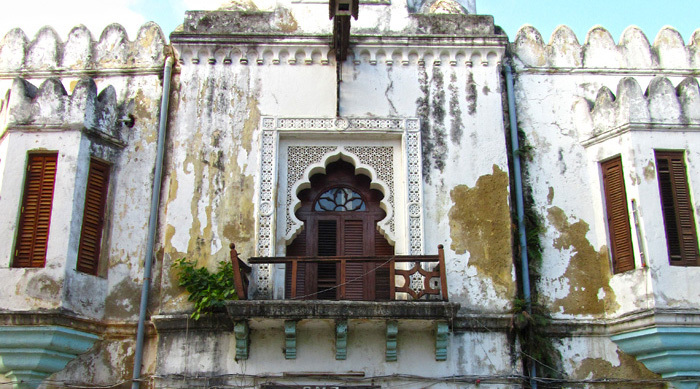 [Online] Available from: http://www.worldheritagesite.org/sites/zanzibar.html [Accessed 15/11/14]. Roadtravel (2014) Zanzibar an island in class of its own. [Online] Available from: http://roadtravel1.files.wordpress.c...stonetown6.jpg [Accessed 16/11/14]. Wiens, M. (2014) Zanzibar. [Online] Available from: http://migrationology.com/wp-content...stone-town.jpg [Accessed 15/11/14]. Zanzibar Stown Town Heritage Society (2014) Zanzibar island. [Online] Available from: http://www.zanzibarstonetown.org/ [Accessed 15/11/14]. There are a lot of unsolved issues concerning this topic, indeed.